About a year and a half ago, I set out to interview the entire animation industry, 2d, 3d, Flash, video games and visual effects. It’s been a hard thing to do as many artists are shy and private but I am VERY proud to say we hit our 600th interview today! I could not have done it without my beautiful wife Laura, my brother Andrew as well as my daughters Melissa and Megan who help with the posting and management of the site. And of course none of it could have happened without all the people who shared their art, life, stories and advice when they took the time to be interviewed! Yep, we’ve interviewed 600 artists so far and there’s many more interviews ahead. You should be next! Email us to be interviewed! Congratulations! Animation Insider is not only a great collection of experiences and stories from people in the animation industry but also a fantastic rolodex of talents folks both new and established. 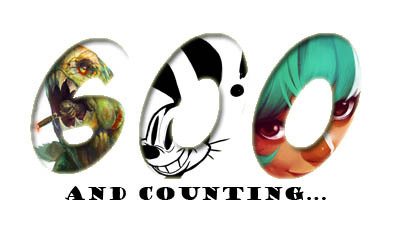 Here’s to 600 more! Thanks! Stay tuned, LOTS more interviews coming down the pike! If you’re in the industry and want to do an interview send me an email to mike@animationinsider.com and I’ll forward you the questions. If I’ve already asked you or you’ve been interviewed forgive me, at 600, I’m starting to forget who’s who!